Neurological manifestations are even more common in children5 6 and comprise cranial neuritis (especially facial palsy) and aseptic meningitis in the majority of patients.5 7 During an ongoing study aiming to clarify the clinical spectrum of neuroborreliosis in childhood, we have seen two patients presenting with non-specific symptoms who had a primarily chronic form of neuroborreliosis. Two further patients were seen experiencing a peculiar yet similar course of their respective illnesses. We believe this to be a manifestation of cerebrovascular neuroborreliosis. This 11 year old boy had been healthy until he developed chronic headache and learning difficulties, recurrent episodes of arthralgia in both hips, and severe weight loss. Two months previously, he had been to a scout camp in the Bavarian forest but recalled neither a tick bite nor skin changes. He was seen by an orthopaedic surgeon who excluded cervical spine pathology; cranial computed tomography (CT) and magnetic resonance imaging (MRI) scans revealed no abnormalities. Psychosomatic disease was suspected and he was referred to us four months after the onset of symptoms for further diagnostic evaluation. On admission he was neurologically asymptomatic, and routine laboratory investigations showed no abnormalities. Table 1 summarises further investigations. Serology for B burgdorferiwas positive for IgG and IgM antibodies in both CSF and serum by enzyme immunoassay (EIA), confirmed by Western blot. The specific CSF/serum antibody index was 3.8 for IgG and 1.9 for IgM antibodies (normal <1.5), implying intrathecal production. CSF showed notable inflammatory changes with a raised cell count (325 × 106/l), highly increased protein (3.145 g/l), and a substantially disturbed blood–brain barrier indicated by a CSF:serum albumin ratio of 41.9 × 10−3 (normal <5 × 10−3). Correlation of the CSF immunoglobulins with serum values revealed global intrathecal production of IgG and IgM. CSF lactate was increased to 3.4 mmol/l, and identical oligoclonal IgG bands were detected in serum and CSF. Treatment with intravenous cefotaxime (60 mg/kg/day) for 14 days was initiated. Under treatment, he gained 4 kg of body weight and was discharged in good clinical condition. No further episodes of severe headache or joint pain had occurred on follow up six months later. Serology forB burgdorferi was still positive for both IgG and IgM antibodies. This boy developed mild mental and motor retardation and seizures after he had suffered from severe encephalopathy during a stay in South Africa at the age of 9 months. No infectious agent was isolated. At the age of 17 years, he experienced increasing motor disturbances and repeated seizures. On admission he was in good condition but small for his age (height 149 cm, <3rd centile). Muscle tone was mildly increased, plantar reflexes were downgoing on both sides, and ataxia and dysarthria were observed. He showed no physical signs of puberty and had not gained height or weight during the previous 14 months. Cranial CT and MRI scans showed periventricular demyelination. Lumbar puncture was performed for suspected metabolic encephalopathy and showed inflammatory changes with pleocytosis (99 × 106/l), increased protein (2.036 g/l), and notable intrathecal production of antibodies involving IgG, IgA, and IgM. Oligoclonal IgG was detected in CSF, lactate was increased (5.6 mmol/l), and glucose was low (1 mmol/l). CSF serology showed intrathecal production of IgM and IgG antibodies toB burgdorferi. Increased antibody indices (IgG class) for varicella zoster virus (VZV), herpes simplex virus (HSV), rubella, and measles were also present. Antibiotic therapy was initiated (penicillin G 160 000 IU/kg/day for 10 days), leading to a fall in CSF cell count while protein and lactate (5.5 mmol/l) were unchanged. The patient tolerated therapy well and was discharged in good condition. Repeat lumbar puncture seven weeks later showed a persistently increased cell count but protein and CSF antibody production had fallen substantially. Anti-B burgdorferi IgG antibodies were still detectable. Lactate had decreased to 4.7 mmol/l. A second course of antibiotic treatment with intravenous ceftriaxone (50 mg/kg/day for 12 days) was well tolerated. Nine months later, CSF cell count was 7 × 106/l, lactate was normal (1.5 mmol/l), and protein mildly increased. Specific antibodies against B burgdorferi(IgG and IgM) were not detected in serum or CSF. Repeat MRI scan 18 months after diagnosis showed substantial remission of the periventricular changes. A few months after therapy, the patient had gained weight and height considerably, and puberty had begun. After three more seizures and a switch to carbamazepine, no further seizures occurred. The patient was subsequently entered into a special training programme. This 15 year old girl developed an acute right sided hemiparesis following a tick bite six weeks previously. There was a five week history of abdominal discomfort, vomiting, headache, and slight mental slowing. Initial MRI scan showed a lesion in the left sided basal ganglia and the posterior internal capsule (fig 1); she was admitted to hospital for suspected multiple sclerosis and treated with intravenous prednisone (0.75 mg/kg/day). Cranial MRI of patient 3. On admission, she showed a right sided hemiparesis with bradydiadochokinesis and minimal right sided ataxia. She had prominent and indistinct retinal papillae on both sides, consistent with papillitis. CSF showed an increased cell count (64 × 106/l) and protein content (1.132 g/l). A highly increased antibody index for B burgdorferispecific antibodies of both the IgM (4.2) and IgG class (14.7) as well as a mildly increased HSV antibody index were detected. Under treatment with penicillin G (225 000 IU/kg/day for 14 days), followed by intravenous ceftriaxone (35 mg/kg/day for 14 days) her neurological deficits showed a steady clinical improvement. Lumbar puncture was repeated 17 days after admission and showed a decrease in CSF cell count and protein. The increased specific HSV antibody index had normalised. On discharge she still displayed mild right sided weakness. Eight weeks later, she had completely recovered. CSF showed normal cell count and glucose while protein was still mildly increased.B burgdorferi specific antibodies could not be detected in CSF or serum. Cerebral MRI scan five months after the onset of symptoms showed two residual lesions. On clinical examination, she displayed no neurological deficits. This 5 year old boy developed an acute left sided hemiparesis with disturbed speech. He remembered being bitten by a tick six weeks before and had suffered from chicken pox six months prior to this episode, but had been otherwise healthy. On examination, he showed no neurological abnormalities apart from a minimal left sided facial weakness. During the following days, five further episodes of transient hemiparesis with blurred speech occurred, each lasting about 5–10 minutes. In between times he was well and neurologically asymptomatic. B burgdorferispecific antibodies of both IgG (Western blot) and IgM class (Western blot and EIA) were detected in serum. Lumbar puncture was performed after two weeks, showing a borderline cell count (5 × 106/l), increased protein (0.67 g/l), and normal glucose. Cranial MRI scan 10 days after admission showed infarction in the right sided basal ganglia (fig 2). Treatment with acetylsalicylic acid (5 mg/kg/day) and prednisone (2 mg/kg/day) was begun before he was transferred to our unit for further investigation. Cranial MRI of patient 4. On admission he showed no neurological abnormalities apart from an upgoing plantar reflex on the left side. Further investigations were normal (table 1). Lumbar puncture showed a normal CSF protein (0.26 g/l), again with a borderline cell count (5 × 106/l). Specific antibodies againstB burgdorferi were not detected in CSF (EIA) but an increased antibody index for VZV (IgG class) was present. IgM antibodies against VZV were not detected in serum or CSF. Repeat MRI scan confirmed the defect in the basal ganglia, and MR angiography showed a slight narrowing in the right sided medial cerebral artery. Antibiotic therapy with ceftriaxone (100 mg/kg/day) was given while prednisone dose was reduced. No further episodes had occurred on follow up five weeks later, and on examination he was completely normal. On MRI scan, only a residual lesion could be seen. Lumbar puncture showed a normal cell count (2 × 106/l) and normal protein (0.291 g/l), with a persistently increased antibody index for VZV. Using EIA,B burgdorferi specific antibodies were undetectable in blood and CSF. Our four patients represent two different courses of illness. The first two patients presented with a primarily chronic course: unspecific malaise with headache and severe weight loss dominated the clinical picture in the first case, whereas a very complex chronic symptomatology with mental and physical retardation was present in the second. Patients 3 and 4 developed acute and (in patient 4) recurrent hemiparesis caused by cerebrovascular neuroborreliosis. Presentation with a chief complaint of considerable weight loss as in patient 1 has been reported in borreliosis,8 although we found only one case report in the German language literature presenting as “pseudo-anorexia”.9 As a wide variety of neuropsychiatric disturbances have been linked to Lyme disease,8 10 we think that it is important to point out the possible connection between infection with “the new great imitator” B burgdorferi and these disorders.8 Considering the association of neuroborreliosis with vasculitis,11-13 the close correlation between cerebral blood flow and neural activity,14 and the recent findings of cerebral hypoperfusion in late Lyme borreliosis10 suggest there might be a pathophysiological link between perfusion deficits and neuropsychiatric symptoms in neuroborreliosis as suggested before in other conditions.14 15 It is also interesting to note that this patient (who had no focal neurological deficits) had the most notable inflammatory CSF changes we have seen in the past four years. In the second patient, the onset of symptoms and the clinical course of disease are most remarkable and unusual: after a long standing unclassified stable encephalopathy, cerebral seizures recurred at the age of 17 years. Cranial MRI scans suggested a metabolic disorder. When the diagnosis of chronic neuroborreliosis was finally established and the appropriate treatment given, not only did his neurological and mental status improve but he also gained height considerably and puberty started. This has never previously been reported in neuroborreliosis. The substantial white matter changes in this patient considerably improved following antibiotic treatment, suggesting either a parenchymal or a vascular inflammation directly related to the presence of B burgdorferi. White matter changes suggestive of leukencephalopathy have been reported in late Lyme borreliosis,6 16 17 showing reversibility in some cases.18 Furthermore, in a recent study of patients with suspected late Lyme encephalopathy, perfusion deficits were found, especially in central white matter and the basal ganglia region, which partly resolved following antimicrobial therapy.10 These findings might also hint at vasculitis as an important pathological mechanism in neuroborreliosis. 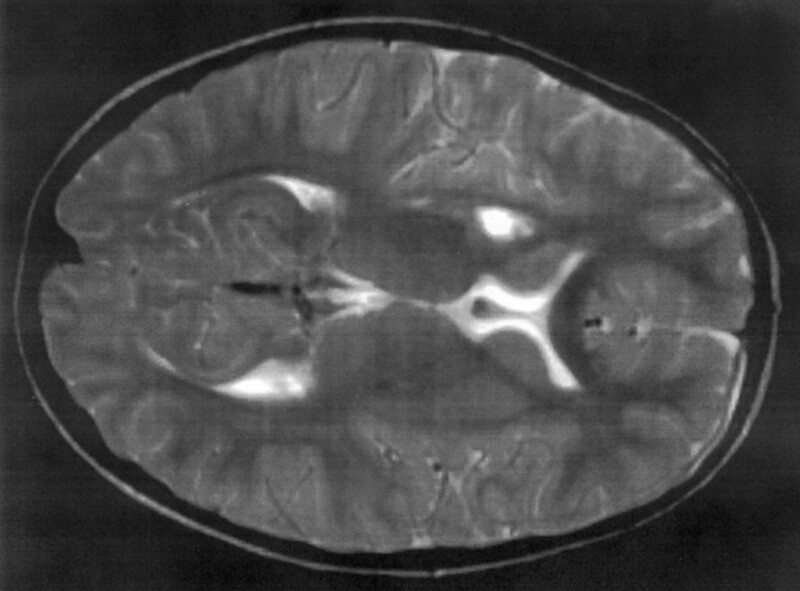 Our third patient presented with acute hemiparesis, paraesthesia, and papillitis; MRI scan showed ischaemic infarction involving the basal ganglia (fig 1), and the diagnosis of acute, cerebrovascular neuroborreliosis was made. Both of her manifestations (cerebral ischaemic infarction18 20 21 and papillitis22) have been described in childhood neuroborreliosis. While chronic neuroborreliosis is believed to be an active and ongoing infection with regularly associated CSF changes,32 the aetiology and indeed the very existence of late Lyme encephalopathy are not so clear.17 Some authors discuss an immunological process in the absence of a continuing infection,18 32 a toxic metabolic encephalopathy,16 an effect of systemic liberation of neuromodulators,32 or consider the findings to be largely caused by residual symptoms17 or a coincidental occurrence of two separate illnesses.33Sigal34 proposes seven possible pathogenetic mechanisms for symptoms that may lead to the diagnosis of “chronic Lyme disease”, only one of which involves active and ongoing infection. Despite the clear peak incidence of neuroborreliosis during the summer months,1 5-7 both of our patients with chronic neuroborreliosis presented during wintertime. As we have not seen any further patients with neuroborreliosis from November to April during the past four years, it seems important to remember that presentation is possible throughout the year. Two of our patients (patients 3 and 4) developed acute and recurrent hemiparesis, respectively. Cranial MRI scans showed ischaemic lesions in the vascular territory of the middle cerebral artery.35 Serology confirmed infection withB burgdorferi and symptoms responded well to antibiotic therapy. Therefore we believe that the vascular accidents in these patients are a manifestation of what we termed a “cerebrovascular course” of neuroborreliosis. Vasculitis has for a long time been postulated as the mechanism of nervous system injury in B burgdorferiinfection,11 12 and case reports of several patients have been published.3 13 17 An immunological process leading to the vascular changes has been suggested,4 11 12 18supported by the fact that peripheral neuropathy in Lyme disease occurs on the basis of small vessel vasculitis but in the absence of detectable borreliae.12 33 Cross reacting antibodies and antibodies directed against neuronal proteins31 33 also point in this direction. It is interesting to note that both patients with a cerebrovascular course of neuroborreliosis manifested within seven weeks and were referred to us from the same region. Since different genospecies of borrelia have been associated with distinct clinical symptoms,35 there could be a common determinant in both cases (in microorganism or host) leading to similar clinical manifestations. We would like to thank Prof. Reiber for performing neurochemical analysis. We are indebted to Dr Ozminski, Kreiskrankenhaus Blankenburg, and Dr Neumann, Klinikum Quedlinburg, for kind referral of two patients. We also thank Mr M Cohen for reviewing the manuscript. This study has been financed by a grant from the Bundesministerium für Bildung, Wissenschaft, Forschung und Technologie, Grant No. 01 Kl 9507/7. Responsibility for the content of this publication lies solely with the authors. (1997) Case definitions—Lyme disease. Morb Mortal Wkly Rep Surveill Summ 46:961. (1996) European Union concerted action on risk assessment in Lyme borreliosis: clinical case definitions for Lyme borreliosis. Wien Klin Wochenschr 108:741–747. (1988) Basal meningo-vasculitis and occlusion of the basilar artery in two cases of Borrelia burgdorferi infection. Neurology 38:1317–1319. (1995) Lyme neuroborreliosis. Ann Neurol 37:691–702. (1993) Epidemiology and clinical manifestations of Lyme borreliosis in childhood—a prospective multicentre study with special regard to neuroborreliosis. Acta Paediatr Suppl 386:1–76. (1992) The clinical and epidemiological profile of Lyme neuroborreliosis in Denmark 1985–1990. Brain 115:399–423. (1992) Die Lyme-Borreliose im Kindesalter. Padiatr Padol 27:A81–A82. (1988) Les multiples manifestations neurologiques des infections á Borrélia burgdorferi. Rev Neurol (Paris) 144:65–775. (1990) Lyme-Neuroborreliose unter dem Bild einer Anorexia nervosa. Munch Med Wochenschr 132:615–620. (1997) Reversible cerebral hypoperfusion in Lyme encephalopathy. Neurology 49:1661–1670. (1995) Pathomechanismen der Neuroborreliose. Wien Med Wochenschr 145:174–177. (1988) Vaskulitische Neuropathie bei Garin-Bujadoux-Bannwarth-Syndrom. Dtsch Med Wochenschr 113:135–138. (1998) Intracranial aneurysms in three patients with disseminated Lyme borreliosis: cause or chance association? J Neurol Neurosurg Psychiatry 64:636–642. (1993) Changes in regional cerebral blood flow in patients with anorexia nervosa detected through single photon emission tomography imaging. Biol Psychiatry 34:578–580. (1995) Brain perfusion abnormalities in Gilles de la Tourette's syndrome. Br J Psychiatry 167:249–254. (1991) Central nervous system abnormalities in Lyme neuroborreliosis. Neurology 41:1571–1582. (1991) Acute and chronic neuroborreliosis with and without CNS involvement: a clinical, MRI, and HLA study of 27 cases. J Neurol 238:271–280. (1996) Inflammatory brain changes in Lyme borreliosis—a report on three patients and review of the literature. Brain 119:2143–2154. (1998) Cerebrospinal fluid investigations for neurometabolic disorders. Neuropediatrics 29:59–71. 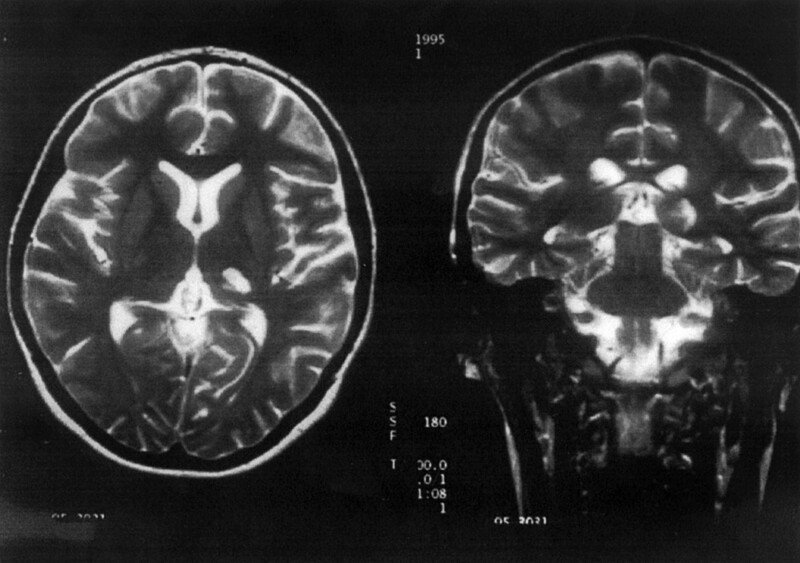 (1989) Neuroborreliose: Progressive Encephalomyelitis mit cerebraler Vaskulitis. Monatsschr Kinderheilkd 137:101–104. (1993) Épilepsie révélatrice d'une Neuroborréliose. Rev Neurol (Paris) 149:489–491. (1997) Akute Borrelien Infektion: unilaterale Papillitis als isolierte klinische Manifestation. Ophthalmologe 94:591–594. (1990) Cerebral vasculopathy associated with primary varicella infection. Arch Neurol 47:1033–1035. (1996) The patterns of varicella zoster virus encephalitis. Hum Pathol 27:927–938. (1991) Quantification of virus-specific antibodies in cerebrospinal fluid and serum: sensitive and specific detection of antibody synthesis in brain. Clin Chem 37:1153–1160. (1991) Borrelien-Antikörper-Nachweis der IgG- und IgM-Klasse in Liquor und Serum: die sensitive Diagnose der Neuroborreliose mit dem Antikörper-Index. Doctoral thesis (Medical Faculty, Georg-August-University Göttingen). (1985) Long-term persistence of intrathecal virus-specific antibody responses after herpes simplex encephalitis. J Neurol 231:307–312. (1996) Infektionskrankheiten als Ursache und Risikofaktor für zerebrovaskuläre Ischämien. Nervenarzt 67:639–649. (1990) Affinity distributions of antigen-specific IgG in patients with multiple sclerosis and in patients with viral encephalitis. J Immunol Methods 131:277–282. (1995) Intrathecal immune response in patients with neuroborreliosis: specificity of antibodies for neuronal proteins. J Neurol 242:319–325. (1995) Verlaufsformen und Folgezustände bei chronischer Neuroborreliose. Wien Med Wochenschr 27:183–186. (1997) Lyme disease: a review of aspects of its immunology and immunopathogenesis. Annu Rev Immunol 15:63–92. (1994) Persisting complaints attributed to chronic Lyme disease: possible mechanisms and implications for management. Am J Med 96:365–374. (1996) Basal ganglia and thalamic infarction in children. Cause and clinical feature. Arch Neurol 53:1252–1256.